Does Your Content Strategy Spark Results? 2019 may be the year of simplicity. Marie Kondo, the Queen of Decluttering, is on Netflix telling her fans to get rid of everything in their homes that does not, as she puts it, spark joy. The spirit of simplicity is not only good for your home. It can inject new life and effectiveness into your marketing efforts as well. If your content marketing strategy plans are cluttered, out-of-date or, worse, non-existent, 2019 is the time to get back to basics with a solid content strategy plan that sparks great results. According to a recent report from the Content Marketing Institute (via Search Engine Watch), 61 percent of B2B content marketers don’t have written content strategy plans. If you are part of that group, or if you have a written plan but haven’t updated it in a while, a little effort here can pay big dividends down the road in better results. In Marie Kondo’s tidy and peaceful world, you don’t keep things just because you spent money on them or because someone gave them to you. Instead, you have to consider every item and ask whether it sparks joy now. Everything must align with your vision of a joyful home, or out it goes. Before you can have a solid content marketing strategy, you need a clear and simple vision of why you are producing content. Only when you have nailed down that vision will you able to effectively evaluate your content marketing efforts. 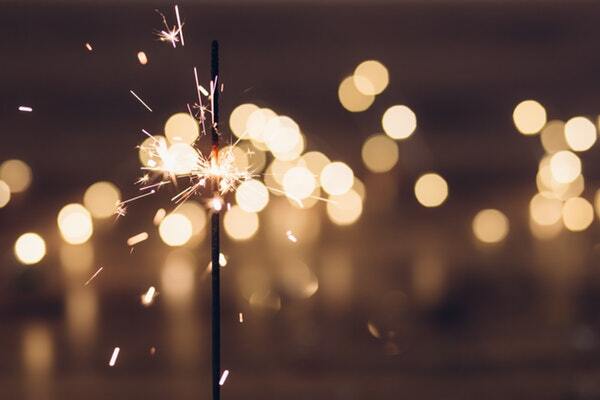 Is your content sparking joy for you by getting great results? If not, you need to rework your content strategy plan — or create one if you haven’t already. To create a clear and simple vision, go back to basics by clarifying the results that you want. Goals for one company may not be relevant for another. How does your company define great results? Start by thinking about where your company wants to be in three-to-five years. This is the bedrock foundation upon which you will build all your content strategy plans. Include both tangible and intangible goals — both revenue targets and “soft” goals such as increasing the trust that customers have in your company. Everything you do with your content marketing should contribute towards reaching those goals. If it doesn’t, be like Marie Kondo and toss it out. Who are you currently reaching with your content? Who do you want to reach? Are they the same? If you are already using buyer personas, are they still relevant to where your business is going right now? Do they still spark the joy of being effective? If you aren’t yet using personas, you can quickly put together some persona sketches without getting too technical. This is an easy way to get started, especially for small or solopreneur companies, and works well with 2019’s overall theme of simplicity. Your buyer personas can help clarify your content strategy plans. Use them to help identify keywords, create paths for customer journeys, and target your written and visual content. Your past content contains important clues about what you should be doing next. Consider your past content in light of the three-to-five-year goals you identified before. Which pieces of content helped you reach those goals? Which missed the mark or were aimed at goals that are now obsolete? Now put on your detective hat and see if you can find common features of the content that sparked great results versus the content that didn’t. Were any topics more effective than others? Did the length or tone of your posts make any difference? Did certain types of content perform than others? Let the spirit of Marie Kondo be your guide. Keep creating content that includes the features that produced the best results in the past, according to your current goals. Let everything else go. When you have identified your vision, goals, and audience, and have conducted an audit of your existing content, you are ready to create a written content strategy plan. To find out more, download the free WriterAccess Market Strategy Master Class guide.